As I'm stuck, sitting and waiting while having my car serviced, I thought I'd give blogger on iPhone a go! 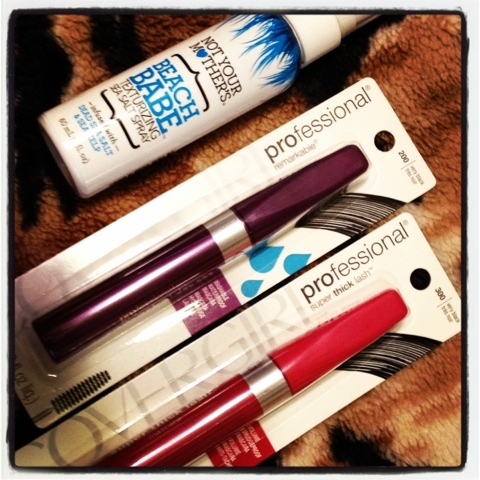 I went into CVS the other night to have a little gander and saw that Covergirl was having BOGO 50% off (think they have it quite often) but as one of my faves had recently gone dry (CG Professional Super Thick Lash- love!) I thought I'd pick one more up and get the waterproof version to try out. CG has been around for ages- it was probably the first brands I tried in high school, but besides Lash Blast had never noticed this bad boy! My lashes are pretty long but lack serious volume , one or two coats of this and my lashes are transformed into falsies! I've been asked what brand of lashes I have on once or twice while having this on. If I apply it after applying Benefit's They're Real- wowza! With all good must come some bad- this dries up like a sonofagun. But for less than $5 bucks, I can't really complain! 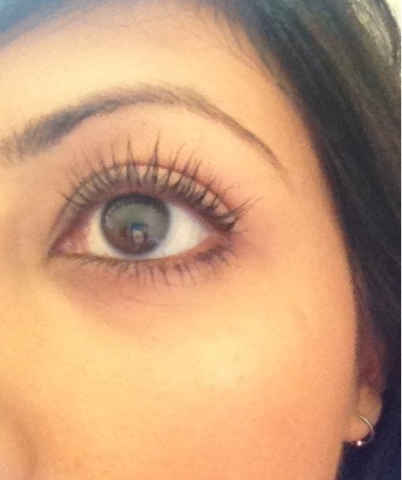 if anyone can recommend a mascara that adds volume, please do!! I also bought a mini size of Not Your Mothers Beach Babe Texturizing Sea Salt Spray. I love my Bumble&Bumble Surf Spray but am about out of the freebie I was given by my hairdresser last year and cannot bear paying full price for that! so far- you have to use A LOT. Having said that I have to admit I have enough hair for a horse (I've been told this numerous times by many of my hairdresser friends- whom say it with love. I hope?) Used plenty of sprays after my shower, put my hair up, slept and did a couple more sprays. Hair has a semi beach wave, not sure if it is all the spray or that I sleep on a satin pillowcase;) hairdressers have the best advice Evah! Verdict is still out , but for $3 I think it's a decent product! Oh wow, your lashes look so lush! I think mascarras are a staple!